The first-ever nonstop flight between D.C. and the capital of the world's second most populous country touched down with much fanfare at Dulles International Airport Friday morning. 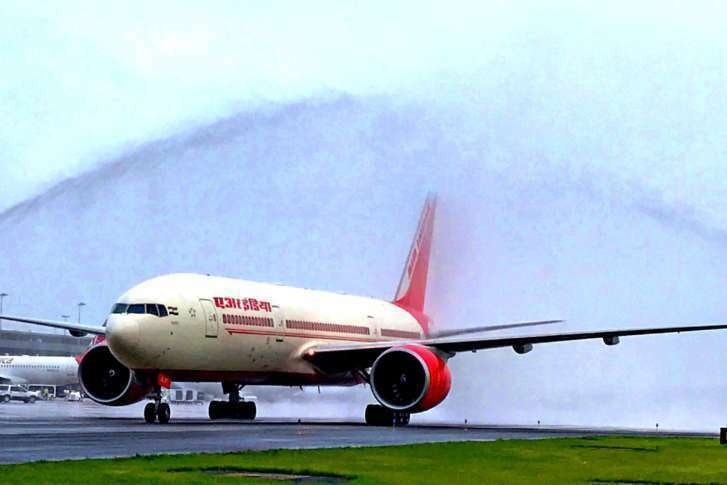 WASHINGTON — Air India’s inaugural nonstop flight from Delhi to Dulles International Airport touched down Friday morning and was greeted by tarmac water cannons, a traditional gate-side Indian prayer ceremony, a ribbon cutting and a dignitary luncheon. It is the first-ever nonstop flight between D.C. and the capital of the world’s second most populous country. The Air India service will operate nonstop flights between Dulles and Indira Gandhi International Airport three times a week. Air India is receiving incentives from the commonwealth of Virginia and the District. It will also get tourism marketing support from the Virginia Tourism Corporation, Capital Region USA and Destination DC. According to Travel Market Insights, visitation from India to the District has grown 40 percent since 2013. The Air India flights are expected to bring an additional 30,000 leisure and business travelers, and $30 million economic impact to the D.C. region annually. Air India’s Dulles service will operate on Sundays, Wednesdays and Fridays. It departs Dulles to Delhi at 11 a.m.